Preventing power nailer injury begins with training. Each contractor needs to understand how his nailer works and how to properly use its safety mechanism. 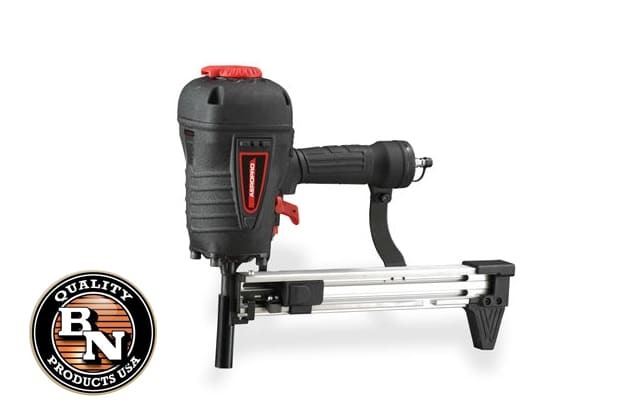 What types of materials is the nailer supposed to be used with? Is the nailer in the right mode? Are all safety precautions being followed? The first way to prevent a power nailer injury is to receive proper training of each power nailer. Understand how it’s supposed to be used and in what positions it works best. Read the instructions in the manual, and make sure everyone knows how to load the nail gun, how to unload it, how to discharge nails, how to use the safety mechanism, how to hold lumber during work and how to operate attached air compressors. Another one of the best ways to prevent a power nailer injury is to use the nailer in sequential mode, the safest mode available. Sequential mode helps reduce the risk of the power nailer accidentally discharging or double firing. Limit the use of power nailers in awkward positions. In tight spaces or awkward positions where nails need to be inserted, it might be best to use a hammer. If that isn’t productive, take care and be slow. Nail guns may slip during firing if the device cannot be held flush with the piece it is working on. Invest in a power nailer with teeth, so that it grabs onto the work piece and prevents the gun from slipping during firing. Only fire the nail gun when the safety is positioned correctly. There should always be safety precautions in the workplace, but this principle can never be underemphasized. Workplace safety procedures that are diligently followed can prevent a lot of injuries from occurring and keep the job moving steadily forward.